Maybe this one works with Amy Schumer in the lead. And you slide Bill Hader over from best guy friend to goofball sperm donor. Certainly, it would help if you give Maya Rudolph considerably more to do. And definitely the odds improve if you show Julianne Moore the door. It is a gimmick, and one could argue that it is not even original. Since 1964, 14 British schoolchildren have been followed by documentary filmmakers who have presented their findings every seven years in the so-called Up Series with the titles matching the age of the participants (7 Up, 14 Up, etc.). 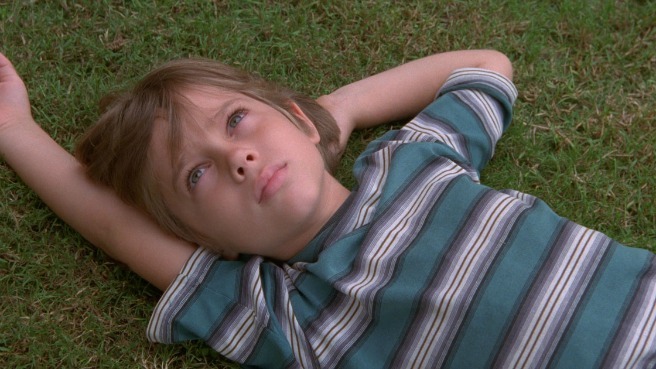 Still, it may be unprecedented for a feature filmmaker to take the same approach, but that is what Richard Linklater did. Beginning in 2002, and continuing over the next 12 years, Linklater brought together the same core group of actors for a few days of filming with the intent to put together a movie on growing up, which, in fact, was the working title for most of the 12 years.